The first impression that comes to any person’s mind when he hears the word “Barbecue” is that the person loves to eat and cook. So for all those who are fond of eating food which barbecue flavor offers, you will be happy to know that wide range of barbecues are available with different sizes and shapes. But you need to consider some factors before making your choice. Different barbecues come in different prices, so keep your budget in mind before you shop for one. Let us go step by step to narrow your choice of the barbecue. If you are looking to cater to around four to six members of family or friends, then a charcoal barbecue which is medium sized works perfect. Look for a gas of two-burners. In case you often organize get together catering to large crowds, you need to look for a gas model of three to four burners as the grills are larger and you will be able to cook more food at one time. Half barrel or oil drums are the largest in the charcoal models available. These can cook large amount of food, so they are ideal for those big parties you intend to throw. Though these barbecues use a lot of charcoal and can be little expensive you can be assured of the flavor of the food. You need to make sure you opt for the right model as a badly chosen one will not be able to heat up properly. Most barbecues work well on hard surfaces like the patio. 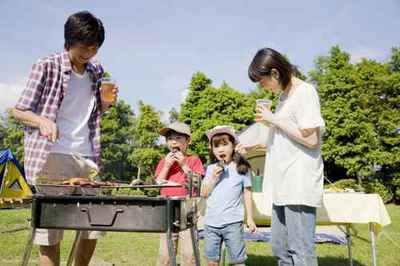 But, if you have decided to use your barbecue on a lawn, then all you need to do is make sure you look for a sturdy one which does not topple over if there is a strong gust of wind. Now comes the point whether you want portable one or table-top one. Portable ones are obviously smaller as compared to the models which are free standing and also occupy less space. There are models which can be used on a bench or a garden table. Both work fine even if you want to carry it on a holiday. Keep your budget in mind but at the same don’t compromise with the quality as the cheaper ones might be prone to rust. Free standing models will not be able to offer you the flexibility the portable ones can offer as they work with gas canisters which are smaller and also disposable. The gas barbecues offer you instant heat and also cook faster, so they are ideal if you wish to grill outdoors on weekdays when you are running short of time. As compared to these the charcoal ones take longer to heat and are unable to cook as fast so might be unsuitable for those quick meals you are looking forward to. These might work well on weekends when you intend enjoying your cooking with family and friends. 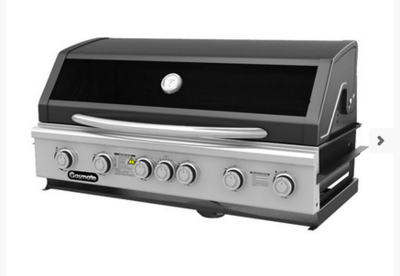 What do you wish to cook on your Barbecue? Different barbecue machines do a lot more than grilling; these can sauté, boil, roast, and also bake a whole range of food. If you want to roast then opt for the model which has a tight fitting hood. Look for a griddled barbecue along with a standard grill if you intend to fry meat, sear steaks or even fry eggs. Barbecues with side burners for steaming and boiling vegetables or even heat up the sauces are also there. With all this, you need to remember the more features a barbecue has the more it will cost. So, plan in accordance to your requirement before making your choice. If you want more details about barbecues Melbourne, then please stay connected with us today!